Whilst the West Coast Raceway is a compact site we are looking to expand of the success of last years inaugural visit and enlarge the course – but this means we will need more marshals. If you can help please post below or contact me at dean.pugh . Please feel free to share this to family & friends. What do marshals do? Well, in essence, they ensure the safe running of the event. You could be on the start line, sending the cars off at full pelt. You could be acting as a radio & flag marshal out on course to watch the action, report any problems and warn oncoming drivers of issues. You could be on the finish line reporting in the drivers lap times. Or, if you like the warm, you could be in the timing caravan assisting with the inputing and sorting of all the results. Lots of other jobs to do too, so if you have a preference, let me know. Why would you Marshal, well, if you love Motorsport and want to get close to the action, this is becoming the only way, with limited or no Spectator areas now at many events. 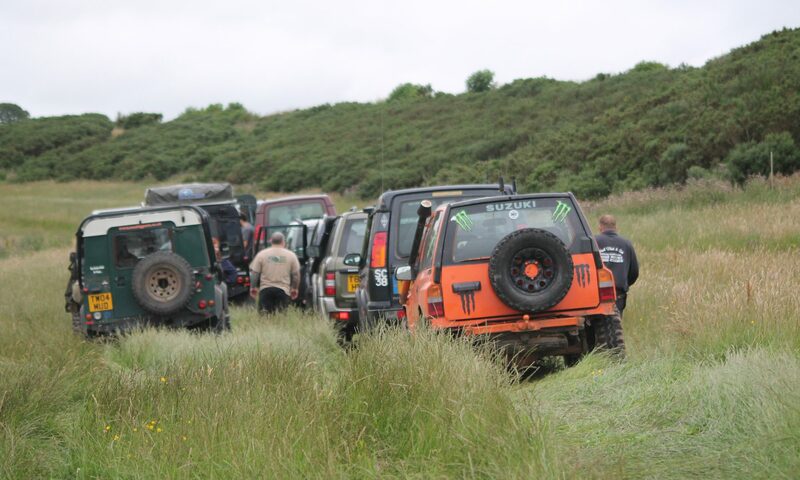 If you love off-road driving their will be plenty of opportunity over the course of the weekend. If you love being part of the action, that is sure to be guaranteed. This year we are running a Volunteers Championship, so participation will score you points and an award will be presented at the end of the year. As ever, no experience or special equipment is required, as training can be given on the day or you can be partnered up with a more experienced marshal. A catering van has been organised and rustic camping is available on site if you are able to help all weekend. To read the latest MSA newsletter, please click here or on the image. For a print-friendly PDF, click here. All you ever wanted to know about going motor rallying under one roof at one event on one night. Former BTRDA Rally Champion and Scottish Rally Champion Euan Thorburn along with reigning Scottish Rally Champion Jock Armstrong will headline the all-star line-up at the inaugural ‘GoRally’ event at Newbridge near Edinburgh on Thursday evening the 4th of February. Aimed at those who know little or nothing about the sport, but would like to find out how to get started, both Thorburn and Armstrong are perfect examples of starting at the bottom and working their way to the top. Although only 29 years of age, Euan Thorburn has achieved huge success in a career which started in 2004 when he contested his first ever stage rally in his Peugeot 205 in the Peugeot Ecosse Championship. This entry level formula for identically prepared 1.6 litre Peugeot 205s provided the starting point for many young rally drivers right across the UK. Since then, Thorburn has progressed through the sport with one of his most celebrated achievements being victory on the Wales Rally GB National event in 2013. Jock Armstrong started his rallying car in a 1300cc Vauxhall Nova, but somewhat earlier than his friend and rival Euan Thorburn, as Jock’s first event was in 1989. Jock was just one of a number of hugely talented Scottish drivers in the early 90s ranked alongside Alister McRae, Dom Buckley and Callum Guy. Although he won the Shell Scholarship and a works Nissan drive, Jock opted out to concentrate on the family business returning to the sport he loves just three seasons ago, resulting in his victory in last year’s (2015) ARR Craib Scottish Rally Championship. At the other end of the scale is Andy Struthers who will appearing at ‘GoRally’ with his entry-level Citroen C2 special stage rally car. Andy started in the Junior 1000 Champiosnhip for 14-17 year olds in a 1 litre Nissan Micra. His success in the Junior formula in 2014 earned him the RSAC Motorsport New Talent Scholarship for 2015. Last year the 17 year old contested numerous events in a ‘borrowed’ Citroen C2 while he built his own car for the Citroen C2 Challenge within the Scottish Rally Championship this coming year. In addition to the stage rallying side of the sport, there will be a hands-on demonstration plus a table-top rally introduction to navigational rallying where drivers and co-drivers hone their skills in standard cars on less arduous, but mentally stimulating events. If you ever wondered what use a Grid Square or a ‘Hairy Line’ is, this is your chance to find out – just leave the SatNavs at home! Hosted by the ‘Scottish Association of Car Clubs’ this unique event is being created primarily to attract and inform newcomers to the sport and those who wish to know more. On show will be a range of cars representing all forms of motor rallying, plus their drivers and co-drivers, ranging from beginners to national champions, who will be on hand to answer questions. Each of the major championships will be represented with cars and crews from the ‘ARR Craib Scottish Rally Championship’ and the ‘Blackwood Plant Hire Scottish Tarmack Championship’ and from the ‘Hill Rally’ and ‘Competition Safari’ branches of the sport. For those who wish to get involved in the sport at a non-competing level there will be the chance to talk to Rally Marshals, Safety personnel and Rescue & Recovery crews. During the course of the evening, radio broadcaster and sports pundit Stewart Weir will interview rally stars and guests throughout the evening. A free Prize Draw for all visitors will also be held on the night with the winner walking away with a Knockhill Rally Experience voucher and there will also be a £50 Voucher from Turner Autosport for second prize.